1 big thing: 🏀 RYAN CLINE!! Last season, Purdue lost to Texas Tech in the Sweet 16. The year before, they were crushed by Kansas in the same round. 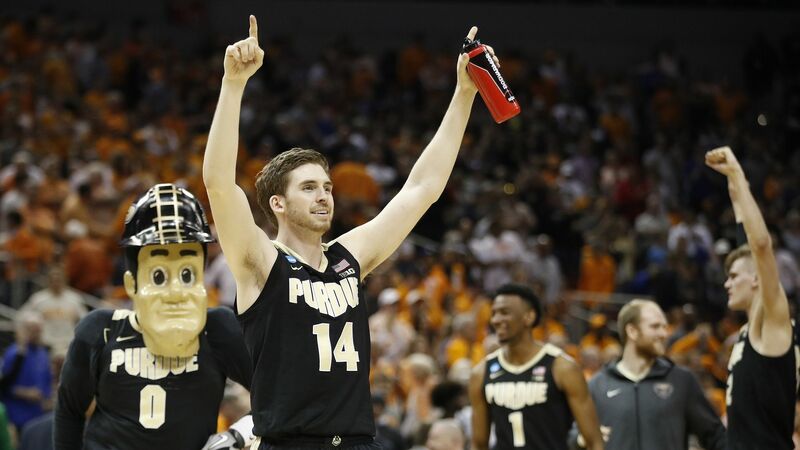 This year, the Boilermakers are finally going to the Elite Eight following an epic 99-94 overtime win over Tennessee. Player of the game: Senior Ryan Cline scored a career-high 27 points and drained seven three-pointers, with four coming in the last five minutes. My man couldn't miss. It was beautiful. To me, Ryan Cline is what March Madness is all about. Sure, future NBA stars and global celebrities like Zion deserve the spotlight, but it's players like Cline — players without guaranteed NBA futures; seniors in a one-and-done world — who make this tournament so great. With Duke still alive, Zion has a chance to win a title and cement his college legacy, but for him, this is merely the first chapter in what should be a super-thick novel. As for Cline, much of his book has already been written, and last night — out of absolutely nowhere! — the story got really, really good. As in, "people you've never met will remember you for this" good. Maybe this isn't the end for Cline. Perhaps he'll get a shot in the NBA or continue draining step-back threes in Europe. But the point is, he will forever be tied to last night's performance — a performance he probably dreamed about as a kid yet could have never seen coming when he woke up yesterday. RYAN CLINE!! SPORTS!! (1) Gonzaga def. (4) FSU, 72-58: Brandon Clarke (15 pts, 12 reb, 5 blk) helped the Zags avenge last year's Sweet 16 loss to the Seminoles and advance to the Elite Eight for the second time in the last three years. (3) Texas Tech def. (2) Michigan, 63-44: Michigan had 16 points at halftime... Also, if I'm Texas Tech, I'm writing Chris Beard a blank check. He'll be the hottest coach in the country this offseason. (1) UVA def. (12) Oregon, 53-49: With the country waiting for them to choke again, the Cavaliers said "nah" and are moving on to the Elite Eight — and, perhaps even more importantly, moving on from last year. Best walk-off catch: With the Brewers clinging to a one-run lead with two outs in the 9th, Lorenzo Cain robbed what would have been a game-tying home run. Great celebration, too. Best power display: The Dodgers set a new Opening Day record with eight dingers in their 12-5 win over the Diamondbacks. Best tribute: Dee Gordon paid respect to his hero and former teammate Ichiro with a full-page ad in the Seattle Times that made me smile real big. Sports, man. Best debut: Robinson Canó wasted little time in re-introducing himself to New York baseball fans, taking Max Scherzer deep in his first at-bat and tacking on an RBI single to help Jacob deGrom and the Mets win 2-0. The latest WNBA mock draft has Oregon's Sabrina Ionescu going No. 1 overall, Louisville's Asia Durr going No. 2, Mississippi State's Teaira McCowan going No. 3 and UConn's Napheesa Collier going No. 4. Why it matters: All four of them are in action tonight, with Oregon hosting South Dakota State, Louisville hosting Oregon State, Mississippi State hosting Arizona State and UConn hosting UCLA. Fun fact: Ionescu has 18 career triple-doubles, which is the most in D-I history for both men and women ... by a lot. And she's a junior! Unreal talent. Get to know her before tip-off. Fun fact: Earlier this year, Durr set a Louisville single game scoring record with 47 points and broke an ACC record with 11 three-pointers all in one night. She's a walking bucket. Go deeper: Growing up, McCowan was so self-conscious about her height that she would come home from school and hide in her room. Now the 6-foot-7 All-American isn't afraid to be the center of attention. Happy for her. Fun fact: Collier is one of just five players in UConn history with 2,000 points and 1,000 rebounds, joining Maya Moore, Breanna Stewart, Tina Charles and Rebecca Lobo. "The story of Juan Ponce de León searching for a fountain of youth in Florida may be apocryphal, but this week at the men's event of the Miami Open, there seems to be something revitalizing in the water," writes the NY Times' Ben Rothenberg. What's happening: Two Canadian teenagers — 18-year-old Felix Auger-Aliassime and 19-year-old Denis Shapovalov — will play in today's semifinals, with Felix taking on No. 7 John Isner and Denis taking on No. 4 Roger Federer. Fun Felix facts: He's the youngest man to reach the semifinals in Miami Open history, he's 5-0 against top-20 opponents and is now assured of climbing to at least No. 33 in the world after not even being in the top 100 two months ago. The big picture: The last time two teenagers reached the Miami Open quarterfinals was in 2007, when Andy Murray and Novak Djokovic did it. Murray, Djokovic and the eight teenagers to achieve the feat before them all went on to reach the No. 1 ranking and win at least one Grand Slam title, so that bodes well for our two Canadian wunderkinds. It also bodes well for men's tennis, which continues to be dominated by players in their 30s and has been anxiously awaiting new blood. The bottom line: Canadian tennis is having a moment right now, with Auger-Aliassime and Shapovalov's success in Miami coming just a week after 18-year-old Bianca Andreescu won the title in Indian Wells. 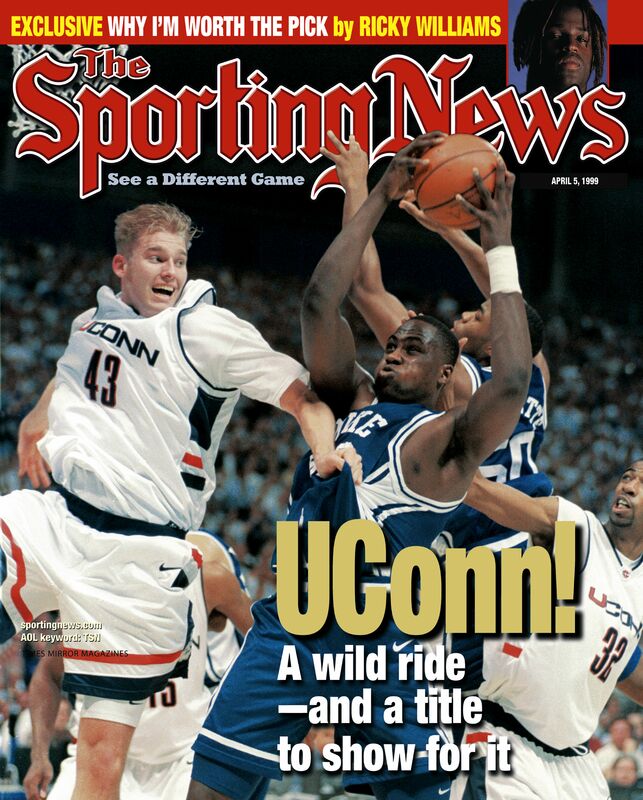 20 years ago today, Richard Hamilton's UConn Huskies defeated Elton Brand's Duke Blue Devils 77-74 to win the school's first national title. Huge upset: The Huskies (+9.5) are still the biggest point spread underdog to ever win the championship game. Streak killers: The loss snapped Duke's 32-game winning streak, but the Blue Devils still tied the record for most games won during a single season (37), which they co-held until Kentucky won 38 in 2011-12. Alexander Ovechkin's next goal will be his 50th of the season, marking the eighth time in his career that he's hit that mark. Question: Only two other players have scored at least 50 goals in eight different seasons. Can you name them? Hint: Both finished their careers in New York. P.S. Thanks for all your trivia submissions! Can't wait to start using them next week. 8. The Ocho: What did I just watch? "American Freestyle canoeing is the art of paddling a canoe on flat water with perfect control of its movements. 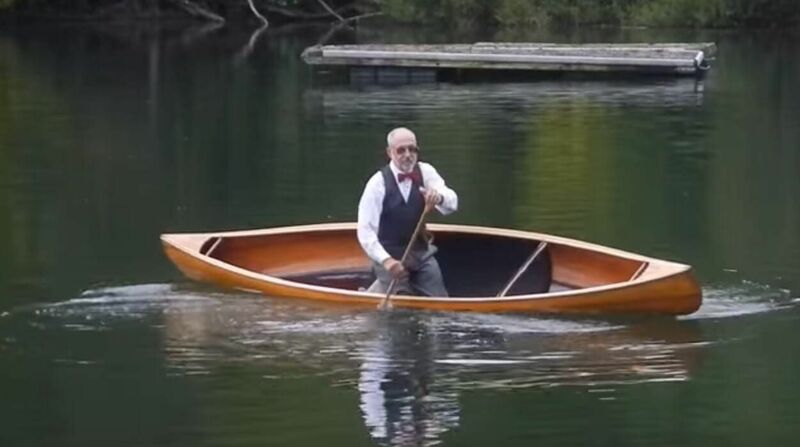 The canoe is usually leaned over to the side to help the boat turn sharply ... Since the movements seem dance-like, some practice this art timed to music, which is the ultimate in control." NBA: "Giannis Antetokounmpo and the Milwaukee Bucks have the best record in basketball and the media footprint of a college hockey team. How does a franchise in a small market led by an MVP candidate with its sights set on an NBA title become a national concern?" The Ringer's Bryan Curtis with another gem. PGA: From his knees. In the bushes. LEFT-HANDED!! Tiger Woods, everybody. NHL: The Carolina Hurricanes have been commemorating victories all season long with super fun, post-game celebrations. Sadly, that tradition ended last night. RIP, cellys. 1. Will a No. 1 Seed go down tonight? Know this: Duke (-360) is the biggest money line favorite, while UNC is third (-250) according to The Action Network's live odds. 2. How many total points will be scored in Auburn vs. UNC? Know this: Total opened at 160.5 and is currently at 164.5, with 50% of betting tickets taking the over. 3. Who will cover the spread in the Houston vs. Kentucky (-2.5)? Know this: Kentucky is 3-5 against the spread over the past two seasons as a favorite of three points or fewer. 🎰 Play now: Today's contest will be held within The Action Network app. Click here to play/download the app. Yesterday's results: N/A because I'm an idiot and messed up the link. Sorry! This week's winner: Morgan Riley (Houston), whose favorite athlete is "Cowboys linebacker Jaylon Smith because Go Irish. Actually though because his comeback story is incredible. Many people thought he'd never play football again after his injury in the Fiesta Bowl."